The BEST Word Wall - Apple-y Ever After! One of the best things that I have done for my classroom was to transform my word wall. I changed it from the typical 1 MILLION words all SPREAD OUT on a board to a compact, portable and VERY WELL USED word wall. In my teaching career I have seen the impact that a word wall can have for my students. They use it all the time and the repetition really helps them to remember how to spell sight words! Moving up to third grade a few years back, however, meant that my wall space was limited and I needed to maximize my bulletin board space so that I could have up all the reference materials that are important and that need covered in my curriculum. Then came the birth of the Portable Word Wall. 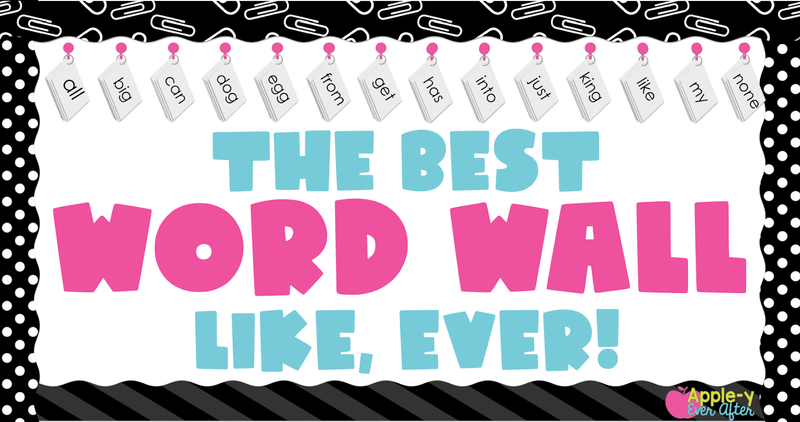 MOST of the words on my word wall were printed from my Word Wall Portable Word Wall Set, but you could just as easily upgrade your current word wall to this system OR even just write the words on word cards like I did for many, MANY of my words. I would re-do all my word wall cards so that they are matchy-matchy, but really? Ain't nobody got time for that! Now for the good part! Let's create your portable word wall! 1.) 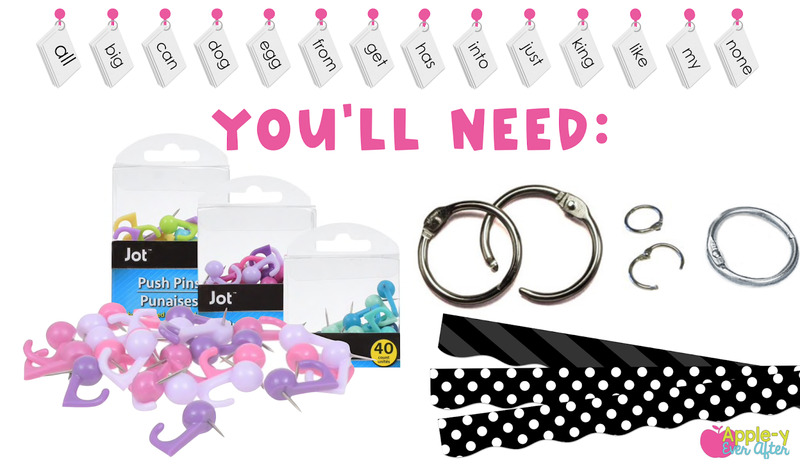 You will need *at least* 26 small binder rings and some small hook thumb tacks. I got mine at dollar tree but you can also find them on Amazon. You will need more if you plan to do theme words like seasonal words that you change out etc. 3.) Print and laminate your cards, then cut them out into cards. 4.) Use a hole punch to create a hole for your binder ring. 5.) Attach all words that begin with the same letter to your binder ring. 6.) Repeat for all the letters in the alphabet. 1.) First, measured the section of bulletin board that I would need for my cards to fit. I sectioned off the bottom portion of my bulletin board by putting a border above where my cards are. 2.) I placed a hook thumb tack in each of the grooves on the bulletin border. Here is an example of what I mean. 3.) Place the word wall rings that you created onto the word wall hooks. 4.) 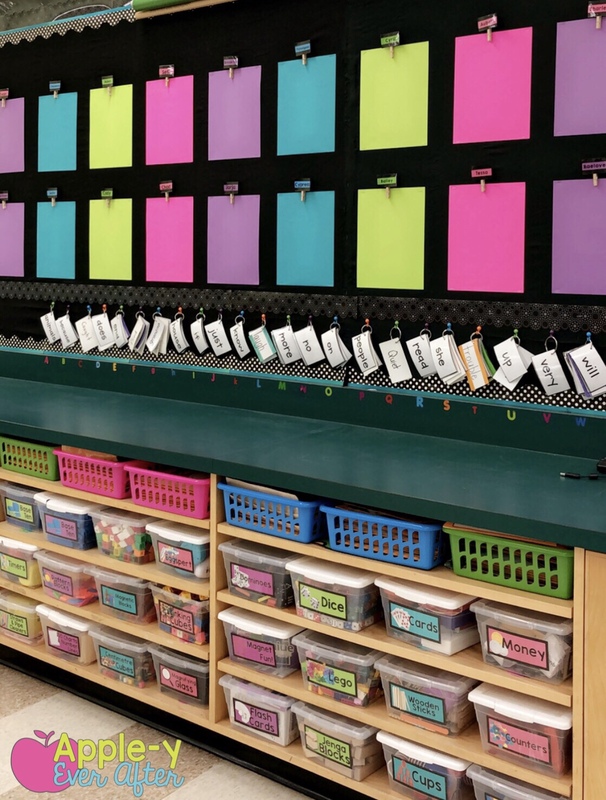 I placed sticker letters under each of my cards so that my students would know which hook to return them to, but I also included letter word wall card covers in my word wall pack so that you don't have to worry about that. Another thing that I love to do to ensure that students use their words and that they always have them on hand is for them to copy them down in their Word Wall Dictionary! Here is an example of my FREE word wall dictionary below! Here is another look at what my word wall looks like up close! 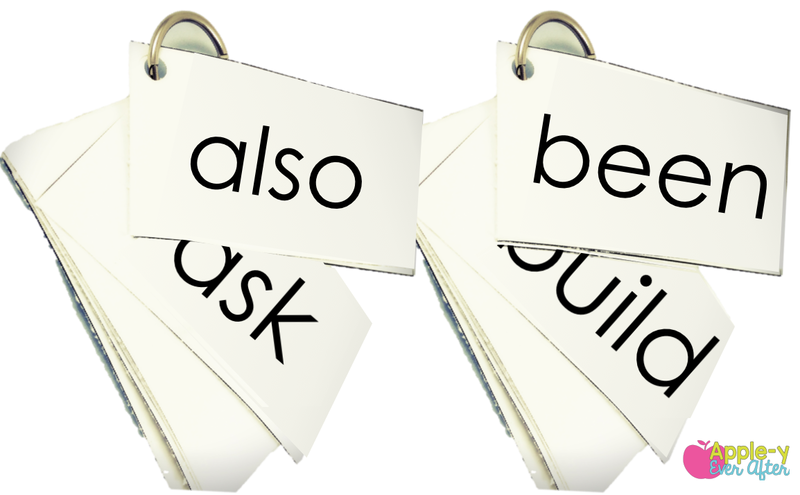 This word wall is really simple to make, update, use and students have a really easy time using it. I hope this is something that you love using in your classroom too!